Partnerships and coopetition are common place in the technology industry. That said, I also do believe that there is, or should be, an unwritten rule that you don’t “bash” your partner. Now, I am an IBM stock holder and yes, I do work for the company and I do cover the data protection space. I, and our business units, have been approached many times by my colleagues to “fight back” against Veeam and take them off the IBM website and not invite them to IBM events. Typically, as an IBM stock holder, I tell my colleagues that, as IBM stock holders we all need to understand coopetition and that, while they may not like their presence on our website or at IBM events, it’s good for the overall IBM business and I suggest that they need to find better more creative ways to compete. All of that said, I have hit a point with the number request I have had with a number of assets Veeam has on their website regarding IBM and Spectrum Protect that are just blatantly wrong. I feel it is time to point these out these mistakes, as well as point out that as a partner, the content they put out in the public is negative and quite frankly isn’t reflective of a positive or good company. Veeam has published a bunch content that tell you “7 Reasons Not to Renew IBM Spectrum Protect” with the word “not” in big bold red letters as well as the IBM product. The reality is the content in these assets are just plain false. Availability. The claim - Veeam customers meet their recovery time and point objective SLAs 91% of the time, compared to only 70.7% with their previous legacy provider. This would lead readers to believe that clients only meet their RTOs 70.7% of the time with Spectrum Protect. This again is wrong. The number they highlight from IDC is an “average” from all vendors they surveyed, including Veeam. They then call out that you can measure your “SLAs” with Veeam which in reality, you cannot – you can only set SLO policies – service level objectives – what you desire to achieve, not what is actually achieved. IBM’s Spectrum Protect Plus, in much the same way allows clients to define SLAs to define backup and recovery RPOs and RTOs. In addition, automation and orchestration allow clients to set up VROs (version recovery objectives) and GROs (geographic recovery objectives) letting clients automatically recovery any version of their data they want in any geography. Innovation. The claim – Veeam is an innovative leader with an established history of being first to deliver market-defining capabilities and the lead here is they integrate with “cloud”. Did you know the number 1 use case for cloud (which has been around for a decade) is backup? I am guessing that this is not a big innovation. By the way – both Spectrum Protect and Protect Plus work in the cloud. They tout that Spectrum Protect was built in 1980. To us this is a benefit. There isn’t a single backup corner case that we haven’t come across or target device we don’t support. Spectrum Protect has been a leader in the Gartner MQ for over 12 years (unlike Veeam who has appeared two times). IBM’s development team has 1000’s of man years of backup experience when it comes to building backup technologies and solving backup challenges. Spectrum Protect has a much richer feature set and supports more front ends and back ends than any other product on the market. Next then move to “instant” recovery. Spectrum Protect Plus has instant recovery as well and because data is stored in native format, instant means instant. In addition, a key innovation that Spectrum Protect Plus has is what we call a “proactive catalog”. Unlike traditional backup applications that only write to their catalog when the “backup” happens, when Spectrum Protect Plus is installed, it inventories the environment, creates a catalog of the environment and shows the admins all the systems that are in the infrastructure that need to be protected in one view. Then, as systems are added, no one needs to go tell the backup admin that a new system is in the environment and needs to be protected (which typically is forgotten about and is unprotected until something catastrophic happens). Growth. 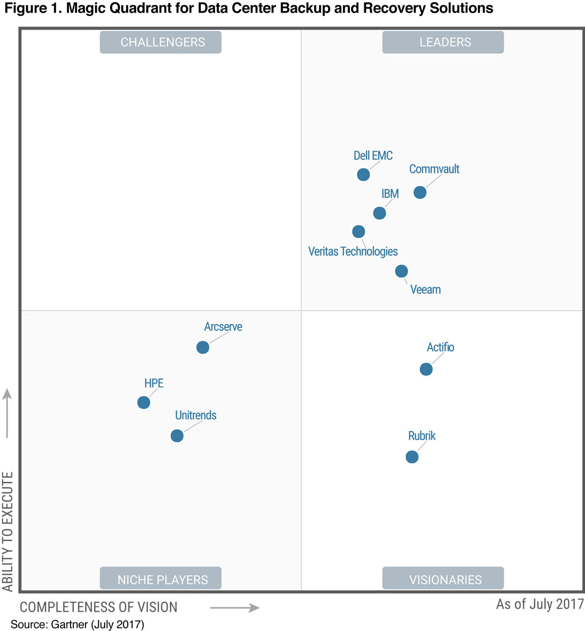 The claim – Veeam is one of the fastest growing enterprise software companies in the world. They then say – “As IBM continues with layoffs and revenues continue to decline...” They can link to articles that talk about layoffs or revenue decline; however, this is not indicative to any one product for IBM, including the Spectrum Protect portfolio. Simplicity. The claim – Veeam’s straightforward approach to licensing, combined with a near-effortless scalable architecture and deployment, gets you up and running in minutes. IBM also has multiple products in its software defined storage portfolio that again, as a part of Spectrum Storage Suite pricing, clients can try any and all of them for one low price. IBM provides clients with the most options in the industry. Look, I have been in the data protection industry for over 25 years. Pricing for backup has always been a moving target. Whether priced by TB, by socket or by VM, when it all gets added up, the end price is always the same. The dollar per metric may changes but the final price ends up being the same. Pricing is really about the customer. How does the customer perceive backup value in their data center and what are they going to pay for it? Lastly – Spectrum Protect Plus installs as an .ova file in minutes and configured to be backing up your environment in less than 30 minutes. The solution is agentless, including backing up of applications such as Oracle, SQL, Mongo, DB2 and Exchange making it one of the easiest backup products on the market to manage. I could talk about how Spectrum Protect Plus has all these capabilities as well as many more. The reality is, and this is what I speak to our sellers about; ALL backup products, from a feature standpoint, can be classified as the same. Today’s DevOps building of applications leads today’s backup products to be on a six month or better release cycle (Spectrum Protect / Protect Plus releases 3 releases per year, every 4 months and it’s been over 1-year Veeam have been talking about their 10.0 release with still no delivery date in sight). Backup products tend to some feature’s others don’t and vice versa and within 6 months, they each catch up to where each other is. Again, like pricing, it comes down to client need and can the product solve the client’s needs. However, with Spectrum Protect Plus’ data reuse capabilities data can be recovered or accessed for any number of use cases including recovery, recovery testing, DR, DR testing, DevOps, reporting, analytics, and the list goes on. Spectrum Protect Plus has all the capabilities Veeam has and many more. Including a global catalog that can find any file backed up with wild card characters in a matter of seconds for instant recovery. They then claim that based on a Veeam Report “...six out of seven organizations lack a high level of confidence in their ability to reliably protect / recover data within their virtual environments.” Now how would any backup product stay in the market if it couldn’t backup virtual environments. This is just one stat that a vendor has made up to tout their product. Customer Satisfaction. The Claim – A high NPS, Net Promoter Score, going on to say that Spectrum Protect ranked in the middle of its backup and recovery peers. While this statement may be true, the sentiment is not. It is important to understand that most of IBMs customers have more than just one product and even though the survey may have been about data protection, client sentiment can end up being about any concern they may have. This is very indicative of vendors who have multiple products in their portfolio and compared to single product vendors. Well – not according to the industry standard – there are more vendors that stand out ahead of them, including IBM and its data protection portfolio. If you are a client who needs an enterprise proven data protection / data reuse solution from a trusted vendor in the industry that gives you flexibility of choice, the Spectrum Protect Portfolio is the choice for you. 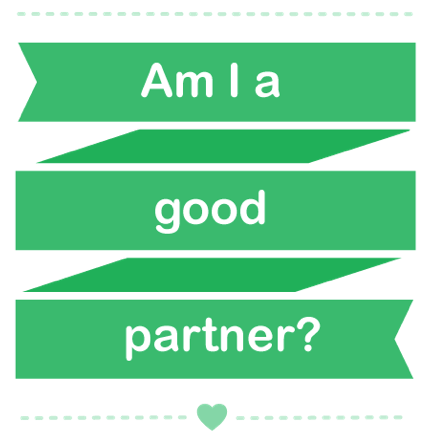 No need to buy from vendors who are not honest and would bash a partner just to get ahead. Check out some of my older posts that talk about a better way to backup and things to consider if you are looking at building out a modern data protection infrastructure. Post Update: So, as I have been sharing this post among the fellow IBMers, who all agree that when it comes to Veeam and their partnership with IBM in the Cloud space, that they all agree are not good partners. They then point my attention to one of their "Claims" I forgot to mention. Veeam make a claim that "Over 50,000 companies switched to Veeam in the last 12 months, many from IBM Spectrum Protect." I have a feeling that the English speaking skills or linguistics from their marketing department (Veeam being a Russian company) are just not that good. I liken this comment to a documentary that I saw about WalMart. The documentary went on to talk about cities saying Walmart parking lots are unsafe because most crimes happen in a Walmart parking lot. Well duh! If you are one of the largest land owners around the globe, then of course the statistical probability of a crime happening on your land goes up. Same with new vendor products. If you are new and come on to the the scene where there are 5 major backup players in the market, of course you are going to win in some of these accounts. However, I will also tell you, that clients didn't "switch" to Veeam. There may be divisions in some companies where a client, doing a new project, needed backup and selected Veeam in an existing Spectrum Protect account. And in full disclosure, there may be places where a Spectrum Protect client selected Veeam to backup some virtual parts of their environment but Veeam has not replaced Spectrum Protect in "many" accounts. Given the complexity of clients infrastructure today and features that Veeam just don't have, it wouldn't be be logical to even assume "replacement". Again, poor competitive sportsmanship when trying to work with a partner is just poor form.